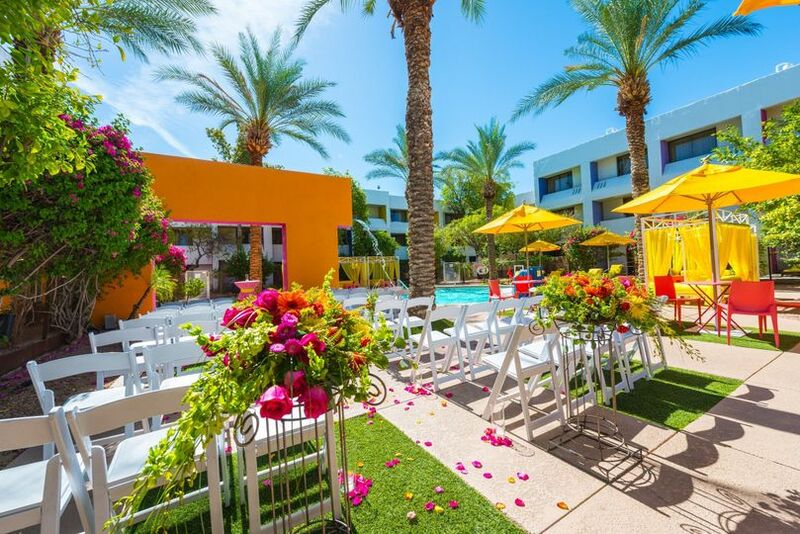 Saguaro Scottsdale is a hotel wedding venue located in Scottsdale, Arizona, also serving couples from the Phoenix area. This desert oasis is located just minutes away from plenty of shopping, art, and fine dining in Old Town Scottsdale. 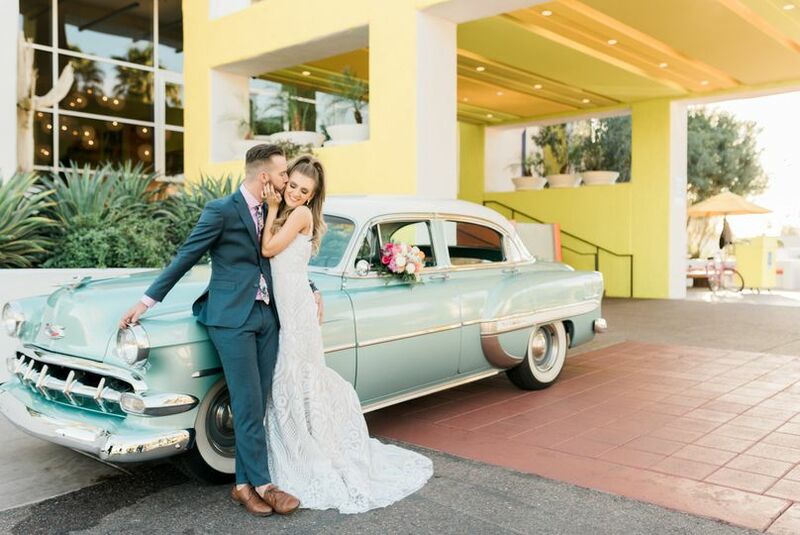 With a convenient location and excellent services, Saguaro Scottsdale has everything you need to help create the most amazing day of your life. Saguaro Scottsdale features uniquely beautiful architecture, created by Peter Stamberg and Paul Aferiat. 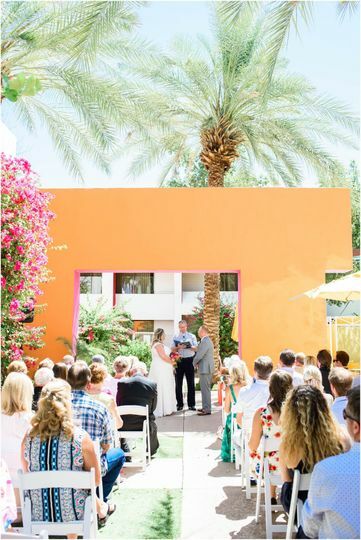 With bold colors and bright spaces, this venue is great for any adventurous and exciting couples out there. The venue features two pools, private cabanas, wrap-around patios, fireplaces, fire pits, and more. There are indoor and outdoor options available, with the capacity to accommodate a maximum of 500 guests. 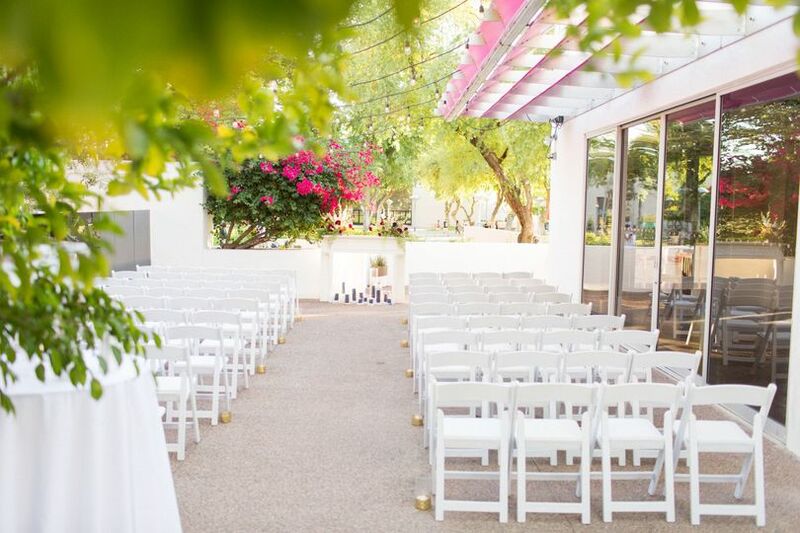 The venue is a great location for your wedding ceremony and reception, as well as bridal showers, engagement parties, rehearsal dinners, and even intimate elopement ceremonies. 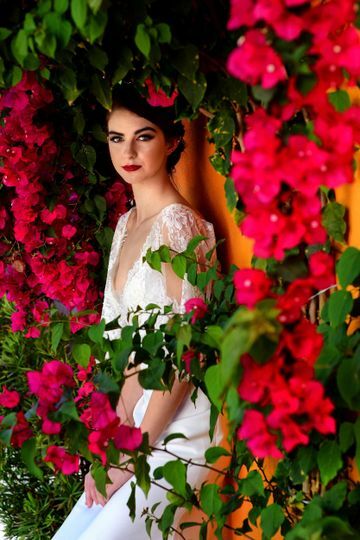 With so many wonderful features and beautiful event space options, what more could you ask for in a wedding venue? Our wedding couldn't have been better. Everyone was great on making sure my family was taken care of allowing me and my wife to just have fun. Michelle was great, she made our nights there unforgettable. Our chef prepared some of the most amazing food that everyone enjoyed. Overall I would definitely recommend this venue for any event. You will get the best service ever. 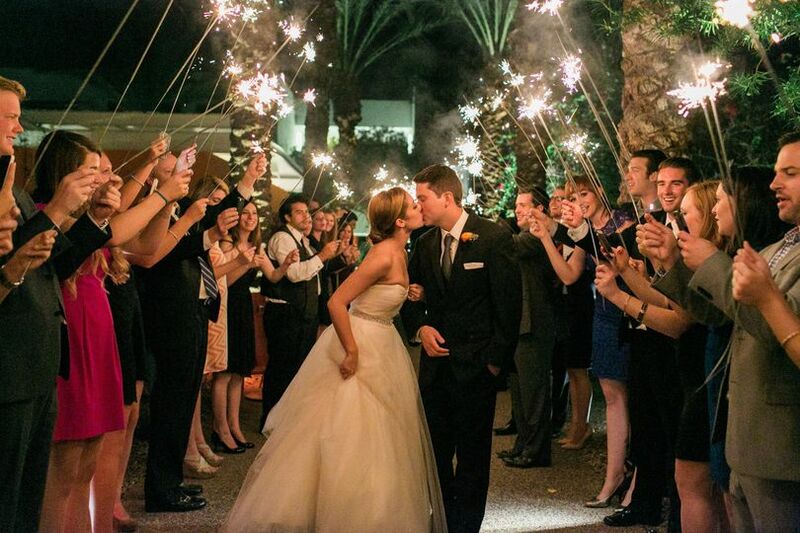 We would do it all over again at The Saguaro Scottsdale! This venue is incredible, and has an equally impressive staff. Our guests loved it as much as we did! 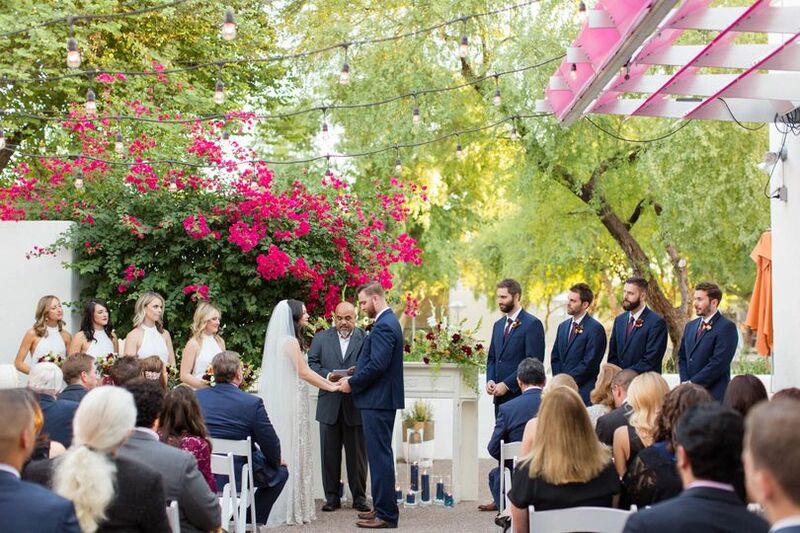 The bright colors provide a fun vibe and the grounds are so very pretty - perfect combination! You will be sure to have a beautifully unique setting, great space and amazing photo spots. The staff was very attentive and accommodating. They truly made the process smooth and our event turned out better than we could have hoped for. Their friendly service deserves an award!!! Also our catering manager, Michelle, was amazing! She was extremely helpful and flexible - allowing us to personalize our event. Her title doesn't even begin to cover all that she did for us! We are so grateful. 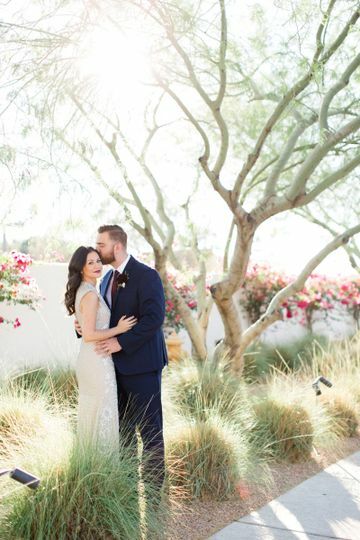 We are so happy we chose The Saguaro Scottsdale for our wedding! 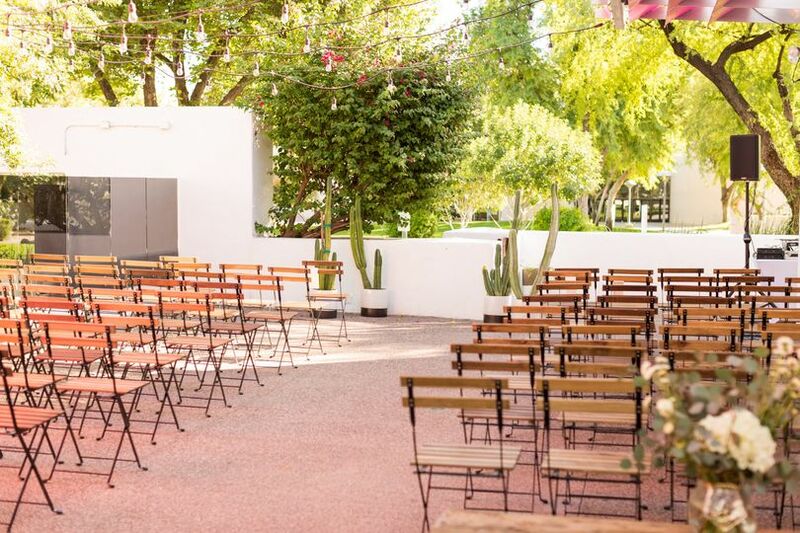 When I got engaged 10 months ago, The Saguaro was high on my list of venues, due to the colorful and fun feel of the hotel, as well as the central location to Old Town. When I took my fiancé, we both immediately fell in love with the location, and the adventure began! I initially was working with a different venue coordinator who ended up resigning. Ari was her replacement. Initially I was nervous bc the original person and I had spoken about so much, I wasn't sure if Ari would be on the same page. But she was perfect, she picked up right where I had left off and the transition was seamless. She was responsive leading up to the event and helped me with any question (or million questions!) I might have. Our wedding weekend finally came and as I arrived at the hotel I was greeted by Jamie, the hotel valet. He immediately knew who I was and greeted me by name. We checked in and quickly got to our rooms. I had booked a suite for the weekend and it was the perfect size to accommodate my hair/makeup person, getting ready photographs, and hosting guests throughout the weekend. When we arrived in the room there were a few small issues (clogged sink and missing picture), but Elisha and Mary Beth took care of them within the hour. The wedding went off flawlessly. The grounds were beautiful, the hotel worked seamlessly with my outside vendors and made sure everything was in place, the food was delicious, the drinks were strong, and the waitstaff were amazing. My guests could not stop complimenting my impeccable taste for selecting this venue. They loved everything as much as I did and were so excited to experience the wedding in that way. Overall I couldn't have asked for a more amazing experience. My husband and I can't wait to return for a mini getaway or our anniversary celebration (hopefully both so I don't have to wait a full year to return!!). 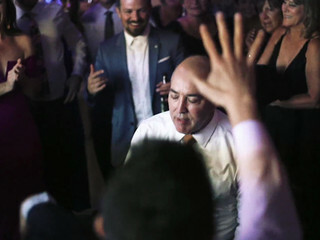 I would recommend this hotel and wedding venue to anyone who's looking for a fun, unique, and intimate affair.